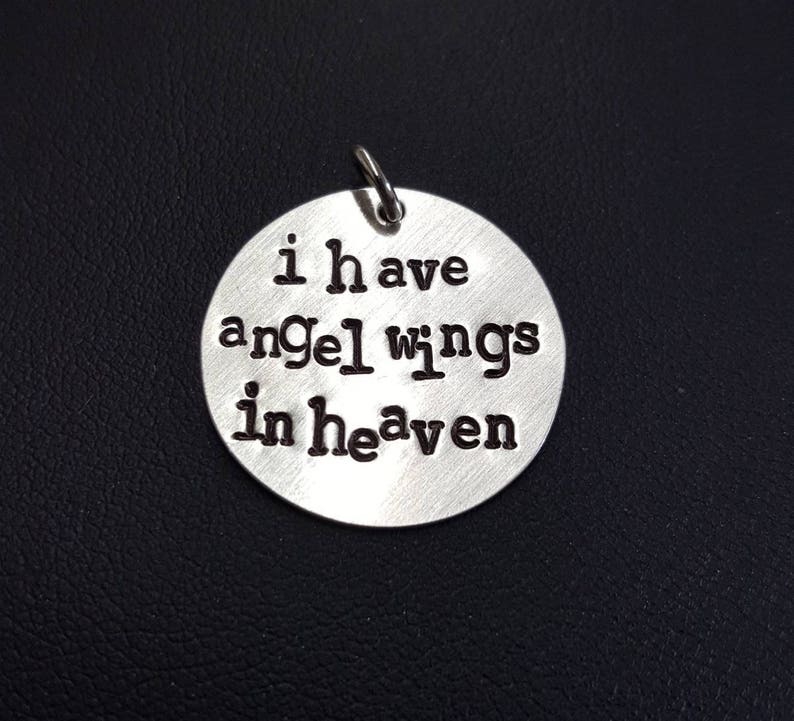 This listing is for one 7/8" sterling silver disc hand stamped with "I have angel wings in heaven". Attached is a jumpring to allow the disc to slide on a chain. You may change the wording. This disc is shipped in a pretty organza sash.